Thanks to everyone who donated! We’re so happy to report that we raised the full amount and will be sending it over the coming week or so to begin building work. Updates and pics to follow! 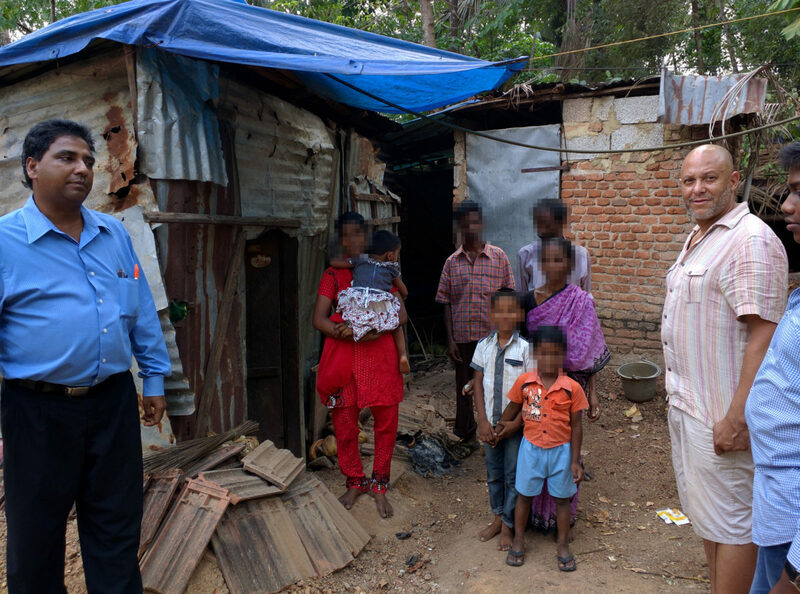 Someone has offered us half of the money towards a new house for this family if we can raise the other half as a church! A couple of years ago, Pastor Geoff and Charles met the family in this photo who live in the one room shack on the left of the picture. We are hoping to be able to pay for them to build a new house, well built with multiple rooms, toilet and kitchen. The cost of the building will be about £5000. Recently a very generous donor has offered to give us £2,500 towards the project if we can raise the other £2,500 as a church. Are you able to give something so that we can take a gift with us to them in February? You can make a donation to the church in the usual way, by cash or cheque into a Gilgal envelope, or by bank transfer with the reference “Gilgal”. We hope to raise the money before the 9th of February when Pastor Geoff goes to visit Robinson again.